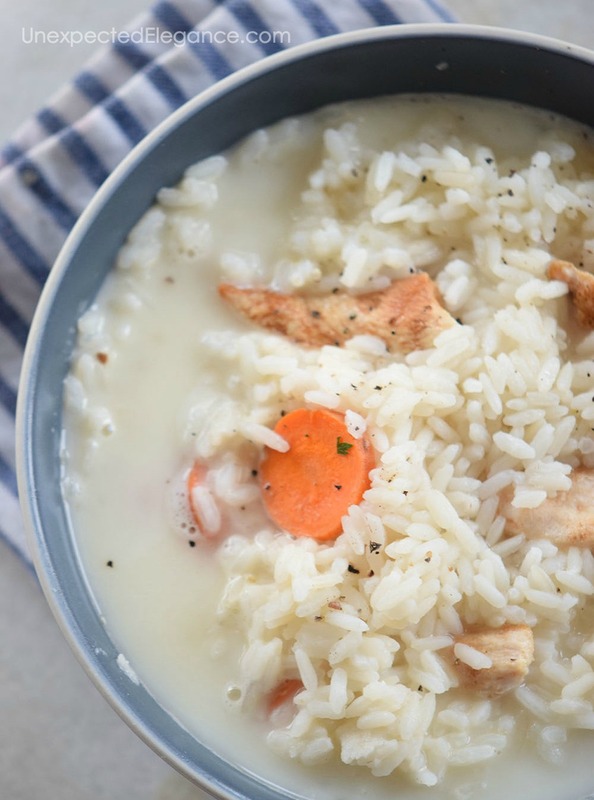 Need a warm meal tonight that tastes great? 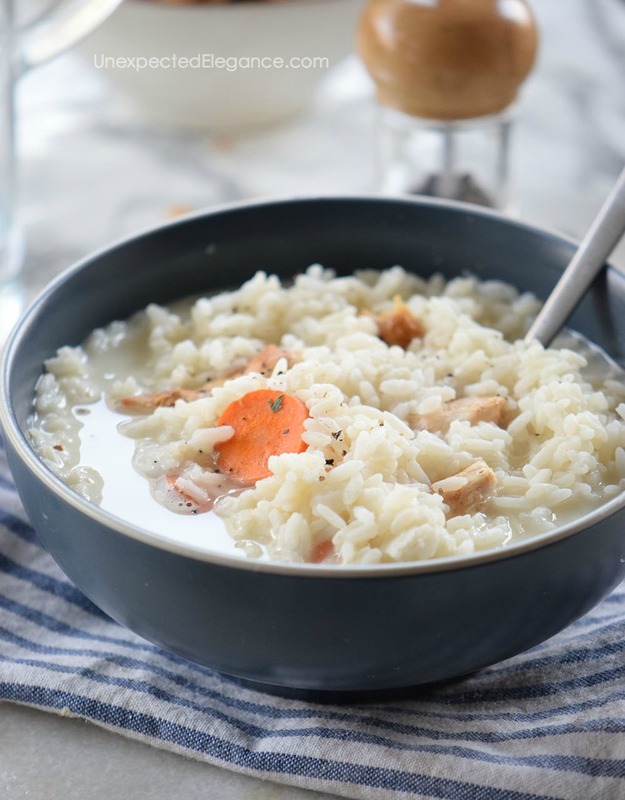 Give this creamy rice and chicken soup a try! Add a salad and you have a complete meal! 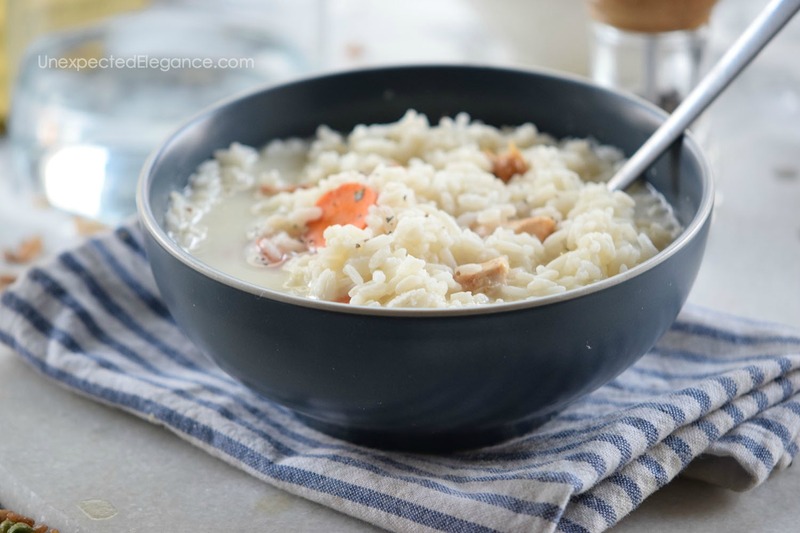 I don’t know about you, but I love soup in the winter! The rest of the year I can take it or leave it, but when it’s cold outside I want something to warm my insides. I have quite a few go-to recipes (like: Zucchini and Tomato or Baked Potato), but I’m giving this new soup a try. This one might make into the rotation! Try it and let me know what you think. In a pot, heat the olive oil and sauté the garlic, onion, and carrot. 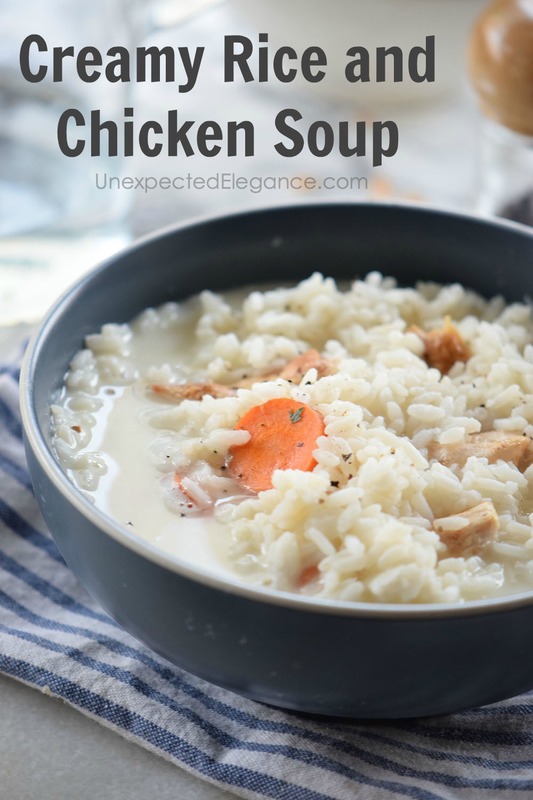 Mix in the chicken broth, rice, bay leaf, salt, and pepper. Bring to a boil, then simmer until the rice is tender (about 20 minutes). In a bowl beat the milk and heavy cream. 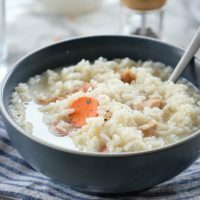 Stir in the milk mix and the chicken into the soup. Tip: Stir in 2 tbsp of cornstarch into the milk mix to make it creamier.